CALEA Standards Support and Guide Agency Through Disaster | CALEA® | The Commission on Accreditation for Law Enforcement Agencies, Inc.
A multi-vortex F-5 tornado unexpectedly ripped through my hometown of Joplin, Missouri on May 22, 2011. The tornado’s path of devastation and destruction began on the western edge of town and exited on the east side, tearing a massive hole through the heart of Joplin. Over 8,000 homes and businesses were destroyed; 162 lives were lost and over 1,000 others were injured. All 50,000 citizens of my great town were left bruised, beaten, and shell-shocked. The task at hand was far too great for our police department of 111 officers to handle. The load was overwhelming. 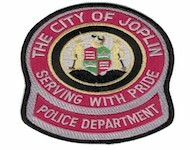 Officers and emergency workers not just from nearby towns, but from other states, began pouring into Joplin immediately after the tornado lifted and everyone sprang into action. As with any response of this magnitude, the number of individuals responding to our disaster was welcomed but also brought with it a whole other set of challenges. Joplin Police Department showed courage, steadfastness, and professionalism in the midst of the most difficult task we have faced in 138 years as a department. Specifically, our officers and staff immediately carried out the practices set forth by CALEA in regards to concurrent jurisdiction (law enforcement standard 2.1.2), written agreements for mutual aid (standard 2.1.3), requesting assistance (standard 2.1.4), and our all-hazard plan (standard 46.1.2). And with time, we also followed CALEA protocol through our employee assistance program (standard 22.2.6), missing persons (standard 41.2.5), and search and rescue (standard 46.2.5), among others. The CALEA standards are meant to support and guide an agency in the pursuit of public safety excellence. They absolutely served this purpose in the midst of the worst disaster our area has ever seen. CALEA served as Joplin Police Department’s blueprint in both our immediate and long-term responses to this disaster. Because of CALEA, we were better prepared and were able to carry out the necessary functions to best serve the citizens and visitors of our community during such a trying time. I’ve heard many responders from out of town claim this is the best response they’ve seen in all the other disasters in which they have been a part. I’m very proud of my hometown and the police department I serve, and I thank CALEA for giving us the tools we needed to pick ourselves up after a devastating blow and press on as a town and as a department. We are stronger now and standing taller because of it.